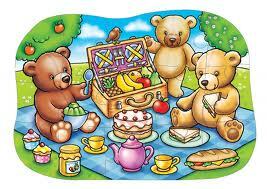 Reception shall be having a Teddy Bear’s Picnic on Friday 15th June 2012, and all parents are invited to come and join us! All children will be asked to bring their teddy bear with them, and we shall be eating jam sandwiches and playing lots of games over at Calthorpe Haven. Please bring a blanket for you and your child to sit on. It should be a lot of fun and we hope to see as many of you there as possible. Our topic next half term is going to be “Journeys.” We will start by introducing the story ‘We’re going on a Bear Hunt’ and talking about journeys that the children have been on. Over the half term, watch this video with your child and discuss any exciting journeys you have been on together. Last Friday, RS visitied the local library choosing their own books to read and taking part in a story telling session. Thank you very much to all the parents who came along and supported their child … we hope you had as much fun as we did! Last Thursday we invited parents/guardians of RD to join us on a visit to the local library (Thimblemill Library) where the children chose books to read with their adult and took part in a story telling session. Adults were also given the opportunity to become a member of the local library. We would like to thank all adults for your continued support. This week we have been reading “The Three Billy Goats Gruff.” We began by seeing goats on the farm. We got to stroke them and even feed a baby kid! This week we have been looking at the text, paying particular attention to the language used. We have been retelling the story, using props to support us. Next week, we shall be reading “The Three Billy Goats Gruff.” Watch this video with your child discussing the language used, who the main characters are and the sequence of events asking them to retell the story to you. Ash End House Farm Trip! Last week we visited Ash End House Farm where we had lots of fun learning about all the farm animals, first feeding the goats and giving their babies (kids) milk to drink. We then saw the sheep with their baby lambs and sang “Baa Baa Black Sheep” to them! We were lucky enough to see lots of newly hatched chicks and ducklings that were only a few days old. After lunch we thoroughly enjoyed watching the show “The Little Red Hen” and some of the children even performed in the show! What a lovely day! 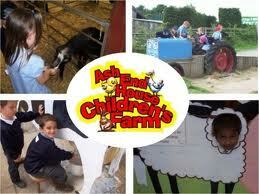 This Friday (4th May 2012) we are all going to Ash End House Farm. We shall be looking at the animals, talking about what they look/sound like, having a story in the barn and learning all about how animals change and grow. We are all looking forward to this exciting trip! Please dress your child in warm/waterproof clothes and provide your child with a packed lunch for the day. All children must be at school on time in order for the coach to depart on time, and we shall be back to school by 3.10pm.